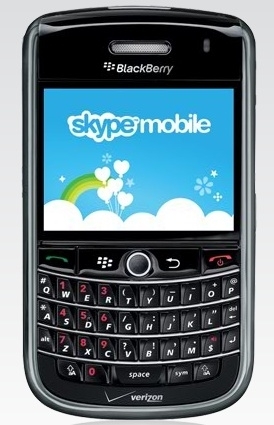 Skype mobile for Verizon BlackBerry and Android devices available | BlackBerry Blast! We knew Skype Mobile for Verizon BlackBerry and Android devices was on the way, and it's finally here. Verizon customers using Skype Mobile can now make unlimited free Skype to Skype calls as well as reduced rate international calls. This is huge for mobile users. The quality of Skype Mobile calls hasn't always been perfect in our use, but it's a huge step forward for reduced rate calling. You can get the Skype Mobile application by pointing your device to www.skype.com/vzw.